so i have this annoying bug where there are lights in the city but there are no lamp posts any one knows the fix ,does it have to do with the console ? , please help becuase it's really annoying . Sounds like a mod conflict, could you post your game.log? 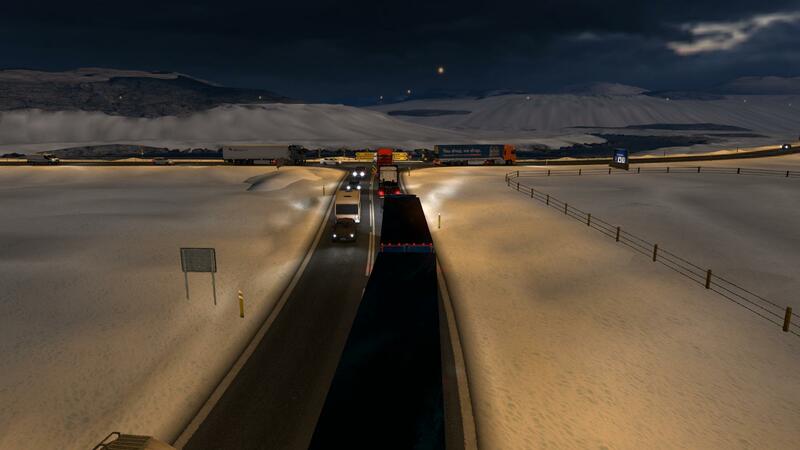 (If you are unsure where to find it, it is located at "C:\Users\USERNAME\Documents\Euro Truck Simulator 2".) The image isn't showing either, could you try to post it again? You've posted in the wrong section - bug reports should be reported in this forum and must consist of several things (listed here) in order for the team to find and fix it as soon as possible. But seeing as this is your first post, it's a lesson to learn for next time . upload your game.log to pastebin or make your google document for public view. ur google document for public view. You have too many mods that I have never heard of. Disable them. Last edited by Trucker2223 on 12 Jan 2019 13:04, edited 1 time in total. i removed the mods in the mods folder now , still the same problem. i know the old version makes problems.